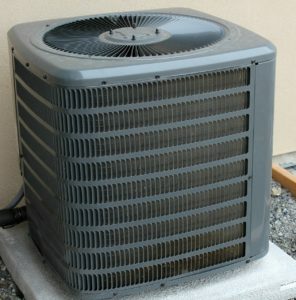 When it comes to the size of your central AC unit, bigger is not always better. While many people believe that a larger AC unit will provide faster cooling, the truth is that an oversized Air Conditioner is actually less energy efficient and lacks the humidifying effects of a properly sized unit. Alternatively, a unit that is too small will provide similar energy waste, as well as inefficient cooling. While the main function of an Air Conditioner is to cool the air in your home, it is also involved in dehumidifying the air as well. Dehumidifying is a process that requires the air to be filtered through the Air Conditioner at a specific rate so that the moisture can be removed. Although a large AC can effectively cool a room in a very short time, the air is filtered through the unit too quickly to be properly dehumidified, often leaving the air both damp and sticky. Additionally, because the air is cooled too quickly, the unit often shuts on and off more than is necessary, rather than providing a consistent stream of cool air. This produces large surges in energy, which equates to substantial waste. Just as an AC unit that is too large wastes energy by frequently turning on and off, a unit that is too small wastes energy by running more than is necessary. Because a smaller unit is essentially too limited to effectively cool a large space, the unit tries to compensate by constantly running, resulting in high electricity bills. A properly sized AC unit will not only save you money each month, but will also help produce a more comfortable home climate than any other improperly sized units. Units are sized based on the square footage of the area to be cooled. To determine the right sized unit for your home, please reference Energy Star for the recommended cooling capacity for your space. General Air is fully equipped to provide accurate assessments and recommendations, with full-service technicians to meet your repair or replacement needs. It is important to get your unit checked as soon as you notice a problem, so do not hesitate to contact General Air to get your heating and air systems operating smoothly again in no time. previous post: What Does the SEER Rating Mean? next post: How Do I Know Which Air Filter Is Right for Me?